Erik Karlsson of the Ottawa Senators and his wife, Melinda, are alleging player Mike Hoffman's girlfriend Monika Caryk "uttered numerous statements wishing my unborn child dead." A Canadian hockey team is being rocked by allegations that one player's girlfriend aggressively harassed another player and his wife for months on Instagram. 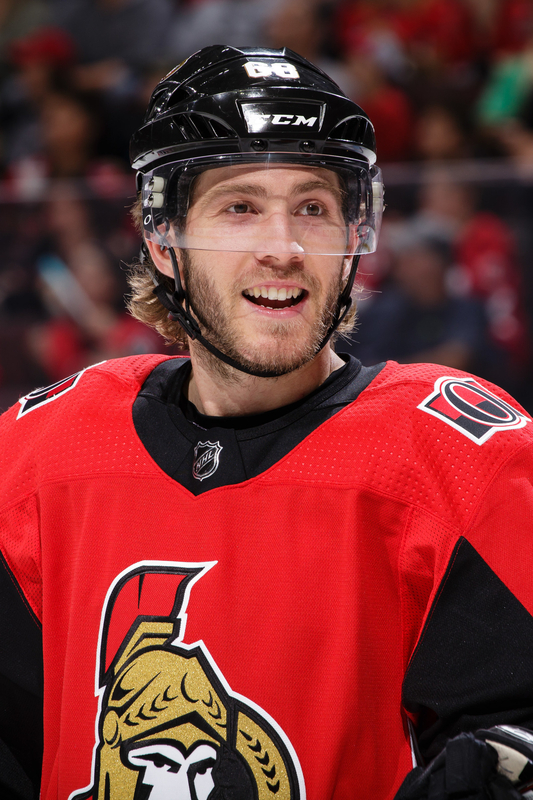 According to the Ottawa Citizen, Melinda Karlsson, the wife of Ottawa Senators captain Erik Karlsson, filed an order of protection in May against Monika Caryk, the girlfriend of player Mike Hoffman. Caryk allegedly harassed Melinda Karlsson since at least November 2017, according to court documents obtained by the Ottawa Citizen. A criminal investigation into stalking allegations is reportedly ongoing, though police would not confirm the investigation to BuzzFeed News. A spokesperson for the Ministry of the Attorney General Court Services Division did not immediately comment on the case to BuzzFeed News. In March, the Karlssons lost their unborn son a month before he was due. According to court documents, Melinda Karlsson alleged that Caryk "uttered numerous statements wishing my unborn child dead." Caryk allegedly "also uttered that she wished I was dead and that someone should ‘take out’ my husband’s legs to ‘end his career.’"
Caryk "has posted over 1,000 negative and derogatory statements about me as a professional," Melinda Karlsson alleged. According to the Ottawa Citizen, the Karlssons believe Caryk made fake Instagram accounts in order to comment on their posts. In an Instagram post following the loss of their unborn son, Erik Karlsson thanked fans for their support. Erik Karlsson replied: "How dare you. You have been making fake accounts and buying hacked ones for months to harass me and my wife but this is an all new low even for you. You are a disgusting person." The account @sandydandy45 was reportedly later deactivated. In a statement Tuesday, the team said the Karlssons' allegations are currently being investigated. There is a 150 per cent chance that my fianceé Monika and I are not involved in any of the accusations that have been pursued (that are) coming our way. We totally understand there’s no place for cyberbullying. We’ve offered to co-operate and do anything it takes to find out who is doing this, and support (the Karlssons). Obviously this is a tough time that they’re going through, and we want to find out who is doing this, because for some reason it’s coming into our court, and it’s 150 per cent that it’s not us. We have nothing to hide. We’re willing to co-operate in any way to solve this and figure it out, and prove that it wasn’t us. The Ottawa Senators’ team name was misstated in the subhead of an earlier version of this post.